Distance to amenities: 0.8 km. 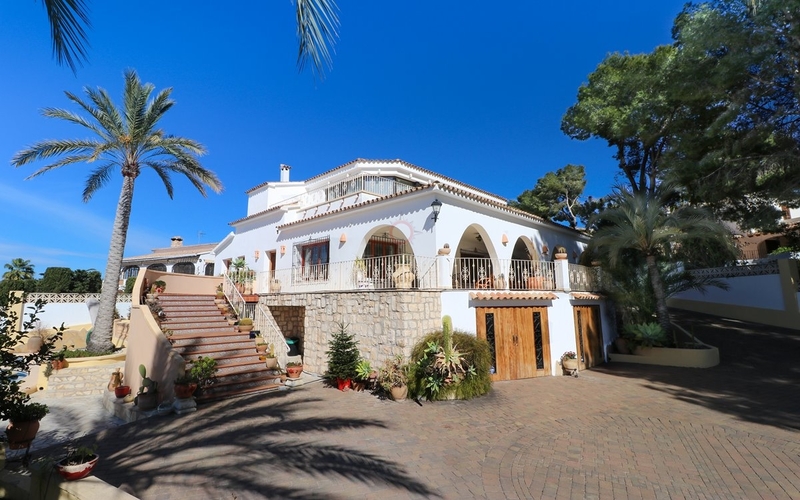 Luxurious detached villa for sale in Pla del Mar - Moraira. 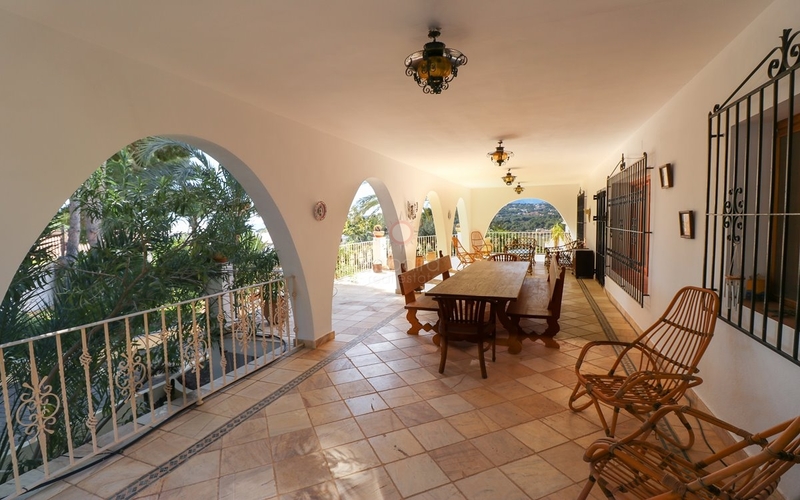 Conveniently situated just 500 metres from town, this impressive four bedroom, five bathroom home enjoys good sea views towards the Peñon de Ifach, south-west orientation and primly located in the sought-after area of Pla del Mar. 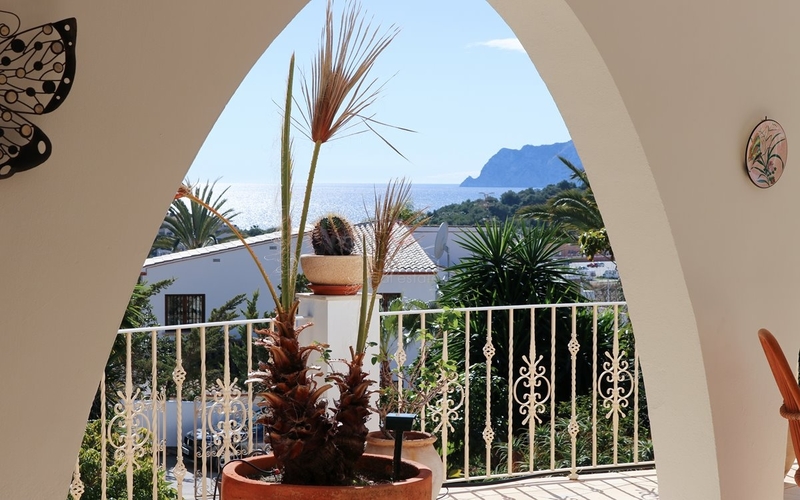 Situated eight minutes' walk from the town centre of Moraira, where you can enjoy a good selection of shops, bars and restaurants as well as the sporting marina and a beautiful blue flag sandy beach. 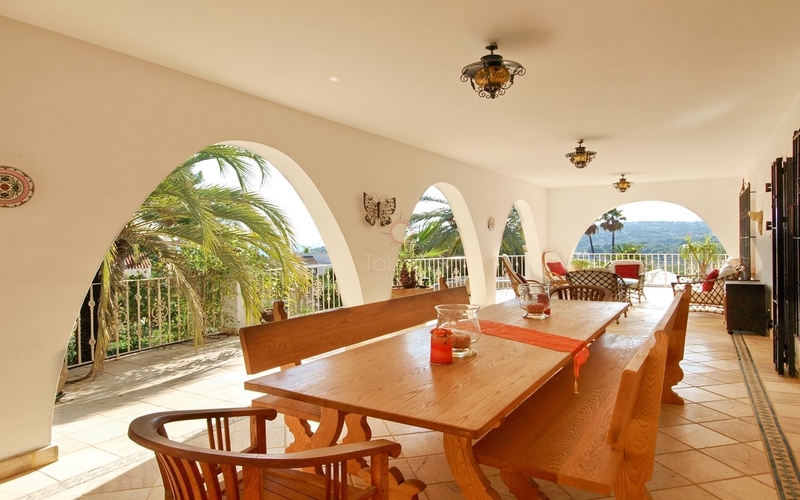 The property occupies a fully enclosed plot of 1,760 square metre with south exposure, privacy and beautiful landscaped gardens. There is sunny pool area with 12.5 metre private pool with integrated seating area. 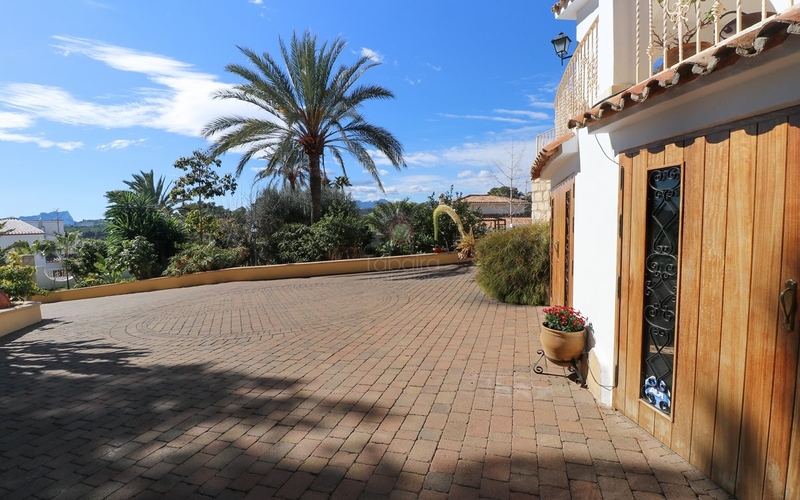 The villa is accessed from the parking with no steps into the house. 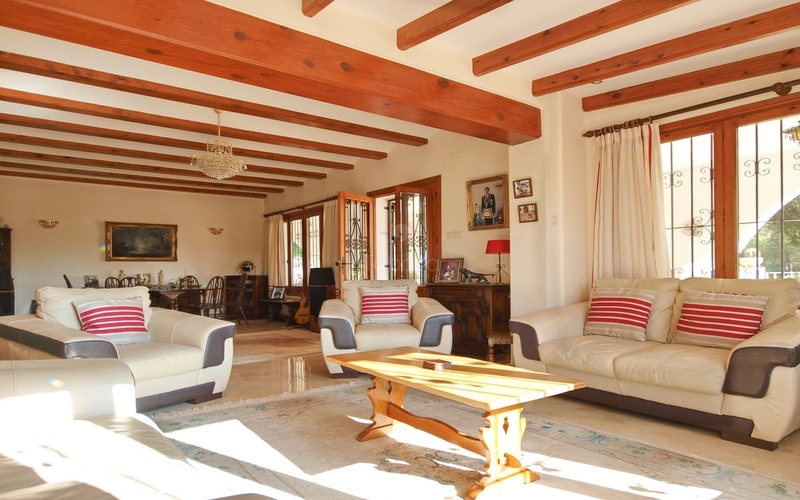 The entire estate is accessed via two streets with ample parking and there is a two-car garage. Characteristics: entrance hall - guest bathroom - staircase to first floor - living and dining room - covered porch dining area - kitchen - office - rear covered barbecue terrace - four-bedrooms - five-bedrooms, storage room - technical machine room - and first floor balcony terrace. Lower Ground Floor: two-car garage - storage rooms - technical machine rooms. 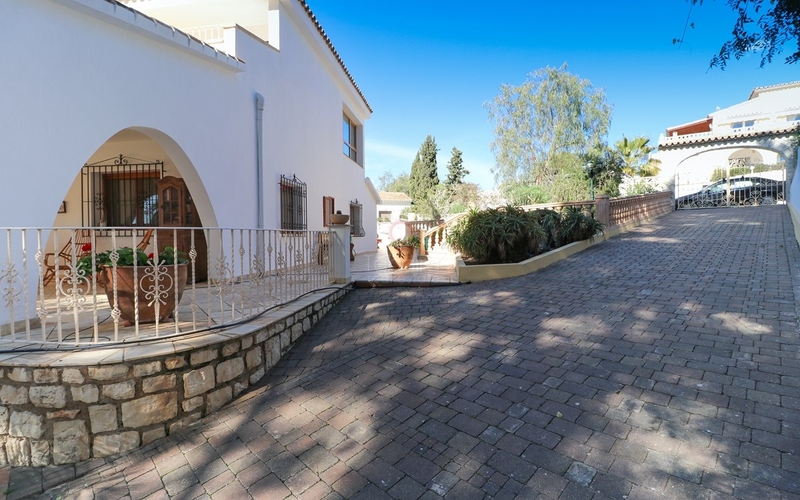 Ground Floor: entrance hallway with guest bathroom and staircase - open-plan living and dining room connecting with a large covered porch terrace - kitchen - rear barbecue terrace part; covered and part open - two double bedrooms with integrated bathrooms and a further double guest bedroom. 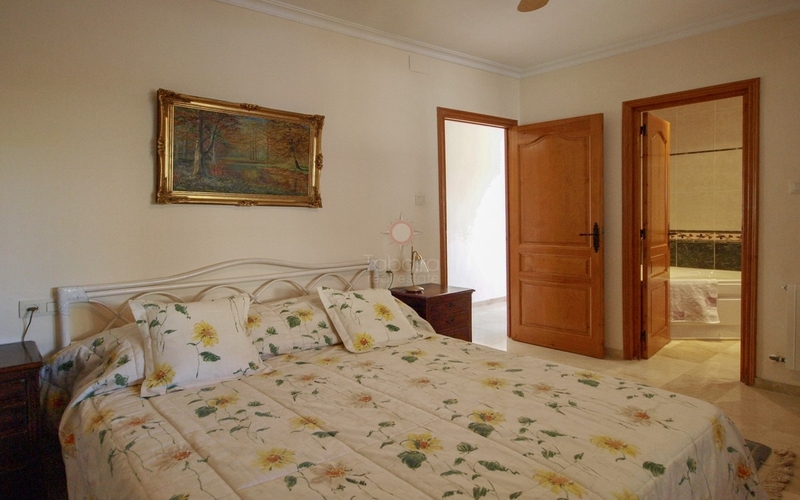 First Floor: large study/hobby room - master bedroom with private balcony terrace and integrated dressing and bathroom. Sea views from all levels of the house. 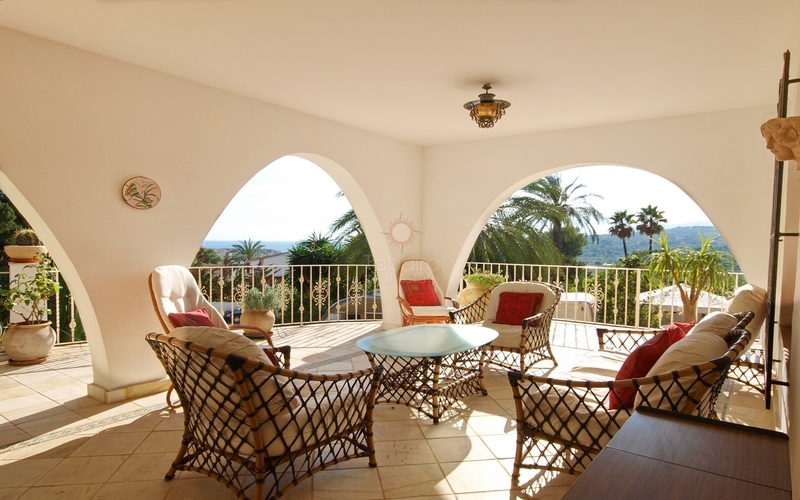 Property completely rebuilt using first quality materials. 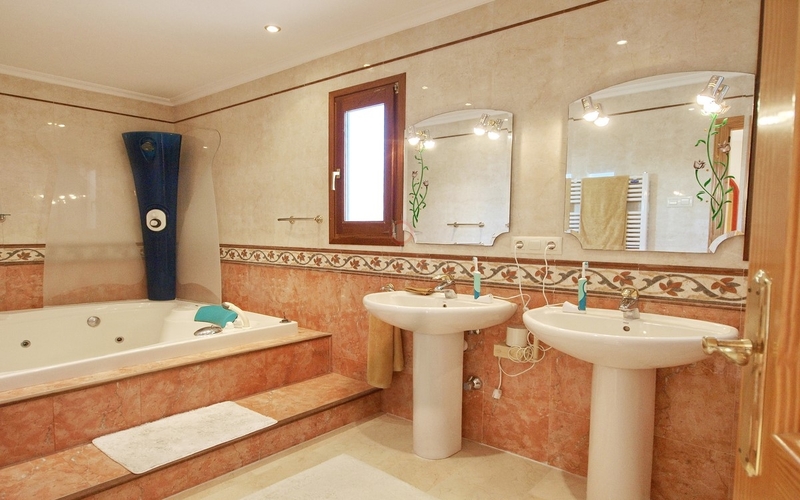 Polished marble flooring with under floor heating on the ground floor and radiators on the first floor. 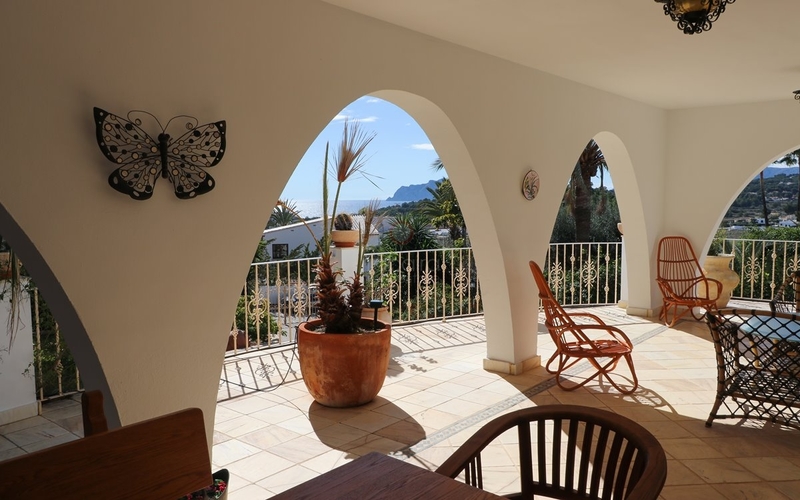 Offering a professional and ethical service, Tabaira Real Estate, based in Moraira, are specialists in providing property services throughout Moraira, Javea, Benissa, and Benitachell. 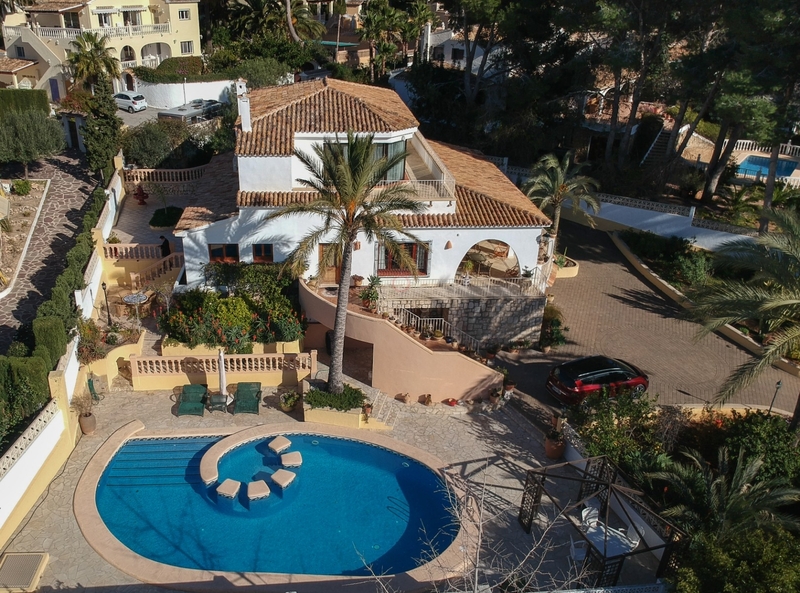 With a large portfolio of direct properties and with access to over 900 villas, apartments and townhouses via their collaborators, they have a multi-national team ready to assist you in finding your dream home in the Costa Blanca North. With Tabaira Real Estate, you don´t have to worry about buying your property, you only have to enjoy living in your property. And remember to follow us on social networks! First of all, thanks for contacting us. We have received your request regarding the property reference: 20.2319. One of our agents will contact you as soon as possible.